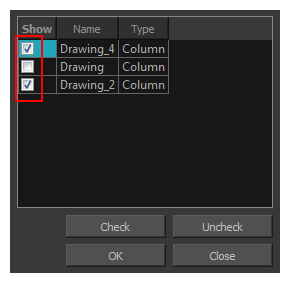 The Show Hidden Columns dialog box lets you display all the columns contained in the exposure sheet. 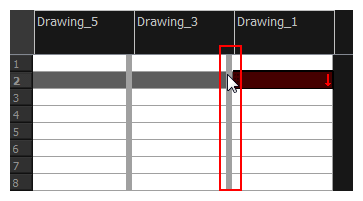 It can be used to hide individual columns. Lets you select the hiddens columns to display in the Xsheet view. Indicates the column type such as column, timing, and expression.